For chemically damaged hair. Moroccanoil Moisture Repair Shampoo gently cleanses while infusing hair with argan oil, keratin, fatty acids, proteins and other nutrients. This formula is free of sulfates, phosphates and parabens and is safe for colour treated hair. The creamy lather helps repair chemically damaged hair, leaving it soft, shiny and full of body, improving the hair's overall health. Directions for use: Apply Moroccanoil Moisture Repair Shampoo to wet hair and gently massage into scalp. Rinse and repeat as needed. 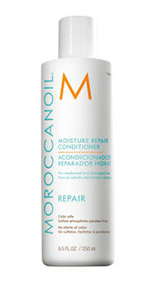 Follow with Moroccanoil Moisture Repair Conditioner. For chemically damaged hair. Moroccanoil Moisture Repair Conditioner gently detangles and reconstructs hair while infusing it with argan oil, keratin, fatty acids and proteins. This formula is safe for colour treated hair and is free of sulfates, phosphates and parabens. This luxurious cream helps restore moisture and repair chemically damaged hair, conditioning hair back to its natural health. 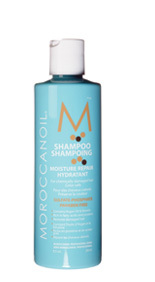 Directions for use: After shampooing with Moroccanoil Moisture Repair Shampoo, gently squeeze excess water from hair and apply Moroccanoil Moisture Repair Conditioner from scalp to ends. Leave on for 1-2 minutes. Rinse well. 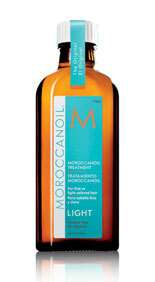 Moroccanoil Oil Treatment is a styling, finishing and conditioning product for all hair types. The ultra-light formula, which is absorbed by the hair instantly, results in a natural, silky finish and brilliant shine without leaving a residue. Moroccanoil Oil Treatment has the ability to restore over-processed hair damaged by environmental factors and chemical procedures. Directions for use: Styling and finishing: After shampooing and conditioning, start with a small amount in the palm of your hand and work it through damp hair. Style as usual. 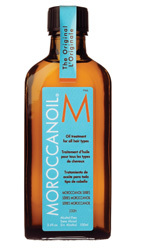 Moroccanoil Oil Treatment revives, hydrates, and most importantly, detangles hair. Moroccanoil Oil Treatment is stored in an amber glass bottle to protect the oil from ultra-violet rays that cause oxidation and degradation. 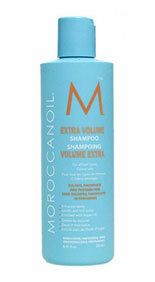 p>Moroccanoil Extra Volume Shampoo has a lightweight and volumising formula infused with Tilicine and other ingredients designed to penetrate the hair and plump up the cuticle from the inside out. It provides shine, manageability and movement without weighing the hair down. Recommended for fine or limp hair. Adds body and volume to fine/limp hair. 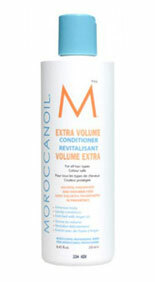 Moroccanoil Extra Volume Conditioner has a lightweight and volumising formula infused with Tilicine and other ingredients designed to penetrate the hair and plump up the cuticle from the inside out. It provides shine, manageability and movement without weighing the hair down. Recommended for fine or limp hair. Detangles and hydrates fine/limp hair. A revolutionary styling, finishing and conditioning product specially formulated for fine and light colour treated hair. 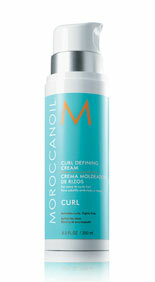 Its unique formula instantly absorbs to eliminate frizz and leave hair smooth. A fantastic multi-tasker, this Moroccanoil Light Oil Treatment helps build flexible strength, restores shine and softness to once dull, lifeless looking hair and even protects against environmental damage. The unique quality of instant absorption allows it to impart immediate shine without leaving a sticky residue. Rich and creamy, Moroccanoil Moisture Repair Conditioner helps to detangle and reconstruct your hair whilst infusing it with a reparative blend of ingredients that will improve your hair’s overall health, leaving it soft, shiny and full of body. Infusing your hair with argan oil, keratin, fatty acids, proteins, and other nutrients, Moroccanoil Moisture Repair Conditioner improves the overall health of your hair and is also safe to use on colour treated locks. Free from sulphates, phosphates and parabens, this luxurious conditioner helps to restore moisture and repair chemically damaged hair.